"Do you think if we hadn't been given rooms next to each other, that we'd end up being friends?" Exams. Homework. Studying. Partying. Relationships. Meal plans. Everything that goes into the college experience and then some. It's made more enjoyable with friends, but those same friends can also make it more stressful. 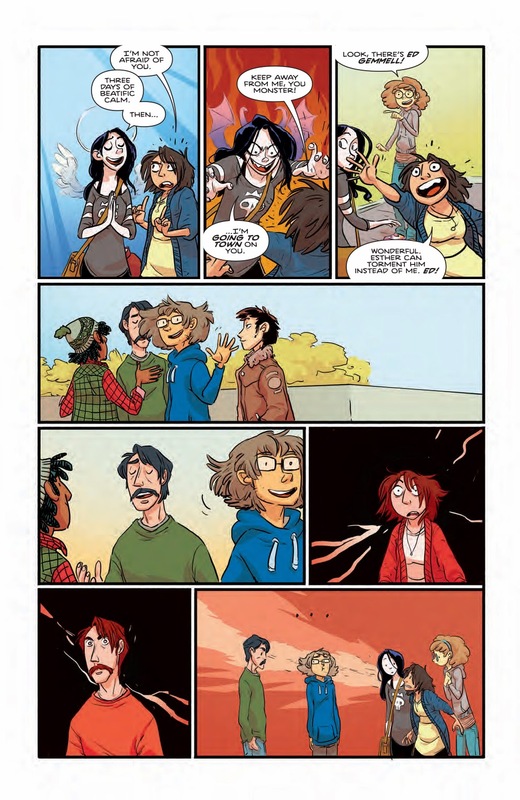 Still, friends made in college are often friends for life and it's clear that Giant Days #1 from BOOM! Box is offering up a very sturdy relationship as the foundation for its series. The issue is written by John Allison, illustrated by Lissa Treiman, colored by Whitney Cogar and lettered by Jim Campbell. Susan, Esther and Daisy started at university three weeks ago and became fast friends because their dorm rooms were next to each other. Now, away from home for the first time, all three want to reinvent themselves. But in the face of hand-wringing boys, “personal experimentation,” influenza, mystery-mold, nu-chauvinism and the willful, unwanted intrusion of “academia,” they may be lucky just to make it to spring alive. If you've been to a college or university, then you know how hard it can be upon first arrival. 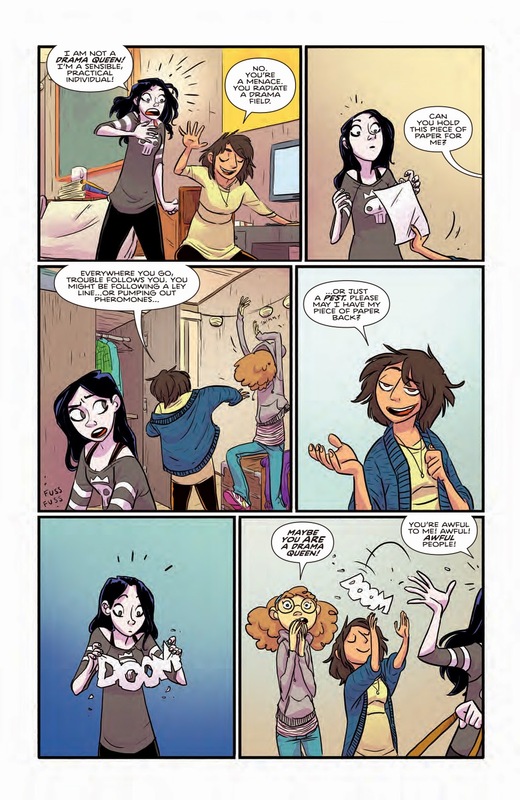 Allison captures a lot of that in Giant Days #1, delivering three main characters who all bring different personality types to the table. Each of the three of have their own take on the world and how they mesh together is thoroughly enjoyable, as they're acutely aware of their flaws (there's even a very humorous reference to the Bechdel Test). 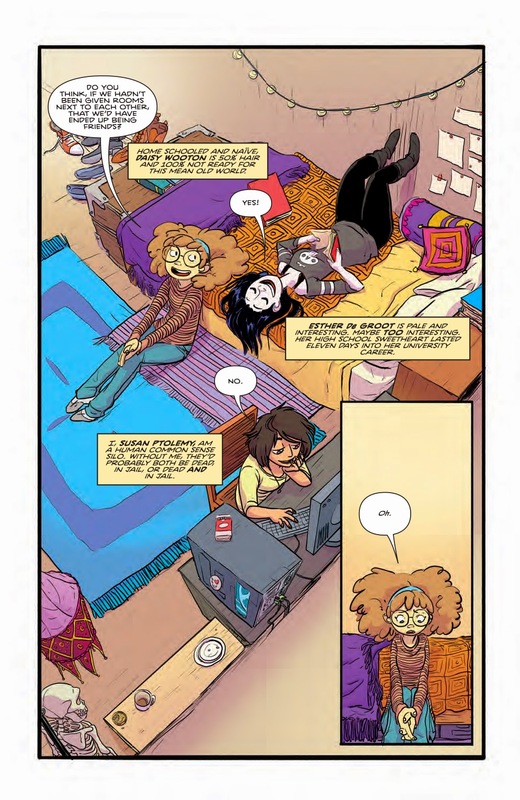 The issue offers each of the three characters their own plots as well, which fits into a college narrative of everyone having their own lives that still manage to intertwine with one another. 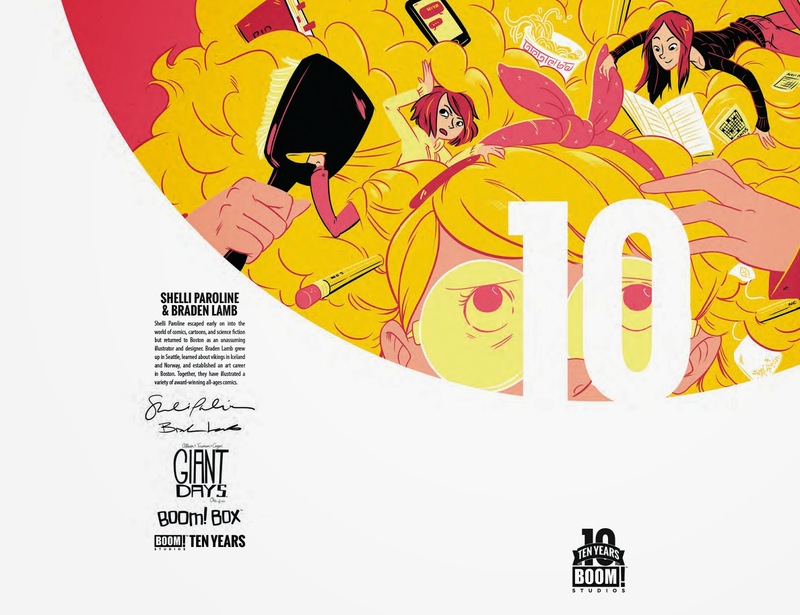 The overarching premise of the book brings all the other plotlines together naturally, resembling the chaos that comes with that first year of school. 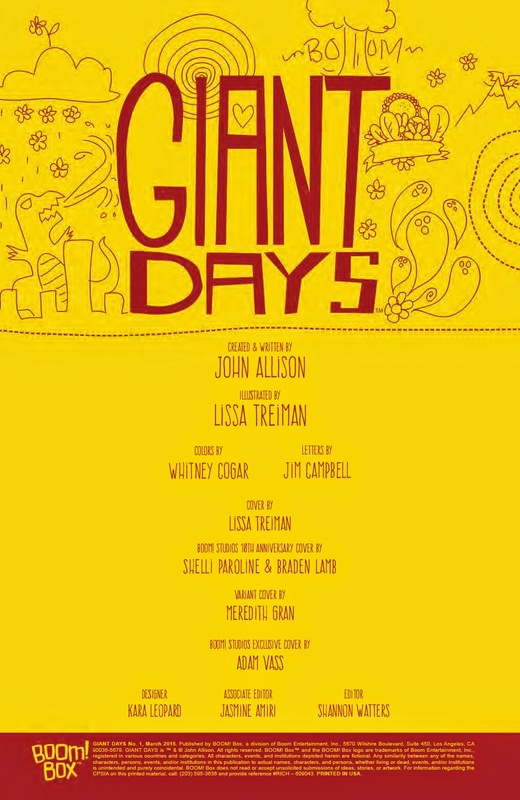 Illustrating Giant Days #1 is Treiman, whose work adds a tremendous amount of levity to what could otherwise be considered tough times. Her style is reminiscent of Brynn Lee O'Malley in Scott Pilgrim vs. the World in that its very irreverent in some regards. There are numerous instances where Treiman illustrates an emotion or thought process to comedic effect, impressing upon the reader the importance of that instances to the character. The characters ooze emotion thanks to Treiman's illustrations, as they portray the humor that sometimes has to be found in a situation to make it more bearable. Cogar's colors are bold and stay largely in the primary range, which--again--reinforces the reigning emotion in the panel or on the page. 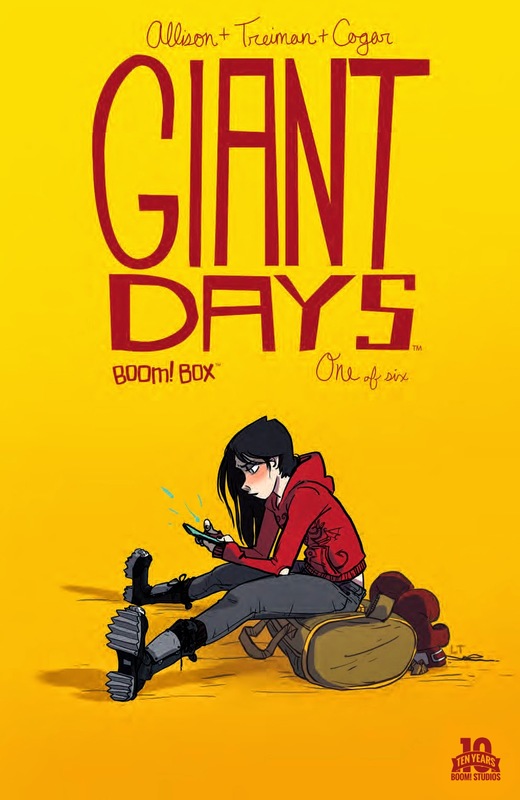 Giant Days #1 is a lighthearted take on otherwise serious events for a college student. As you mature and advance through the years, some of these events seem a little trivial in the grand scheme of things, but when you're first thrown into the mix with everyone else going through similar issues, there's an amplification of those issues. 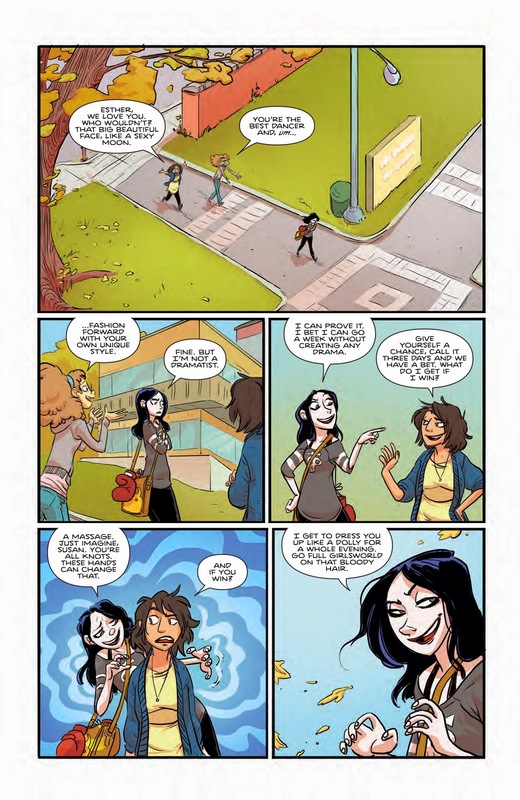 Allison captures this exceedingly well in Giant Days #1, as Susan, Esther and Daisy bond over similar incidents they've experienced or are experiencing. Treiman's illustrations are very loose and fit this dynamic perfectly, keeping the reader grounded in a reality where many of these problems can seem somewhat small in the bigger picture. 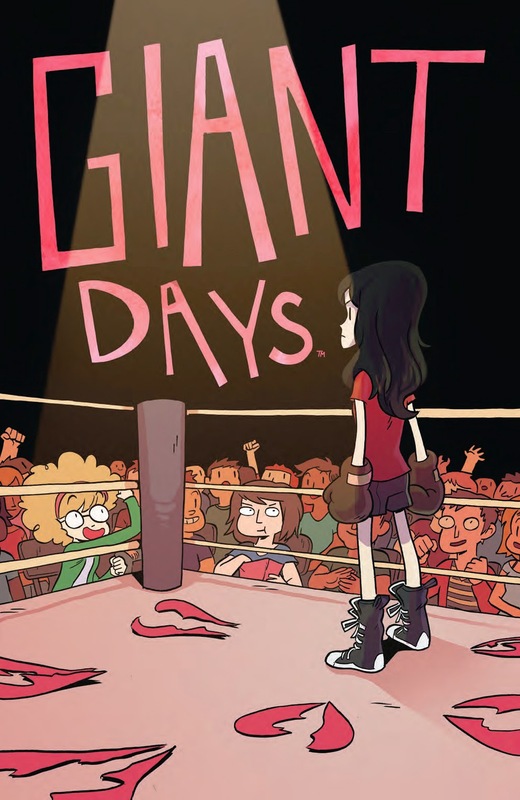 Giant Days #1 is an ambitious look at how we cope with new problems told through the eyes of youths where seemingly everything is a problem. 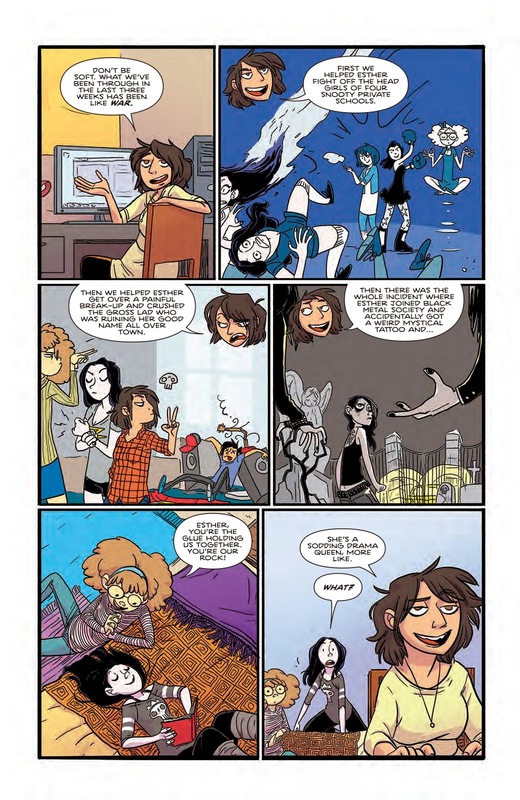 Giant Days #1 is in stores now with interiors below.